"What I appreciate most about the V-Caps are their dynamic speed. 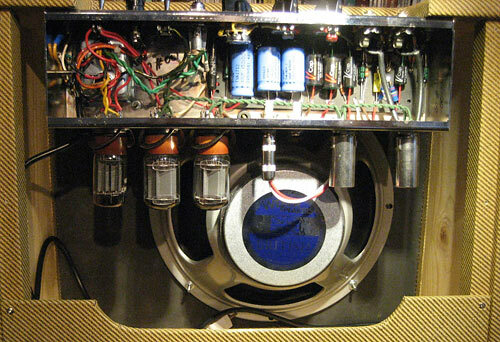 In guitar amps you do not always want a "Hi-fi" sort of tone - unless maybe you're a jazz player, and then you may want a transistor amp for max clean and uncolored sound. Rock players - like myself - want to obtain some of that gritty "old magic tone" found in vintage amps from the 1950's and 1960's and the key to this quality lies both in the tubes (I'm using old American and European tubes from the 1950's - 1970's exclusively) and in the amp circuit. But where to put which caps for the best result? Using V-Caps in the front end of my amps give a fast snappy response that works perfectly for speedy guitar runs like in in modern country chicken'-pickin' guitarm, but on the other hand this quality in the front of the amp may not suit the traditional rock player. Better suited for all styles of playing is placing V-Caps (TFTF) later in the circuit as the tone cap connecting the input stage and second gain stage of the amp and also as the final tone caps before the output stage. 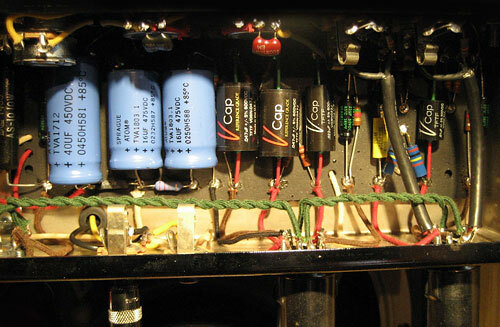 Especially the cap connecting 1st and 2nd stage after the tone shaping (first 12ax7 tube and first coupling cap) makes the biggest difference of all. This cap can really make or break your tone and here the V-Cap (TFTF) .022uF really shines. 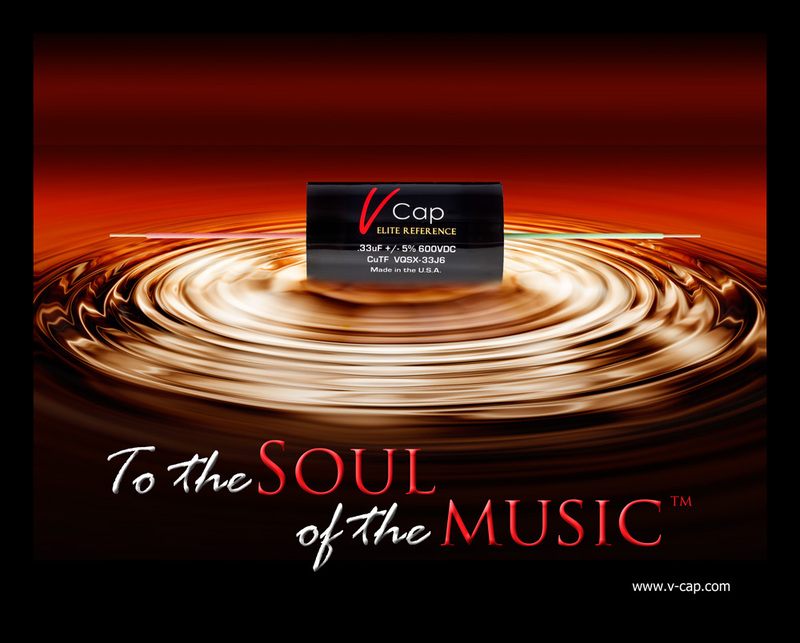 The cap in this particular position - depending of brand/type - can make the amp sound weak, tired, soft, metallic or with the V-Cap: articulate, fast, dynamic and coherent. "